There’s a saying that small hinges open big doors, and that's certainly true of your knees. When it comes to mobility and support, these joints play a critical role, so when knee pain strikes, it can have a widespread effect on your overall ability to function. 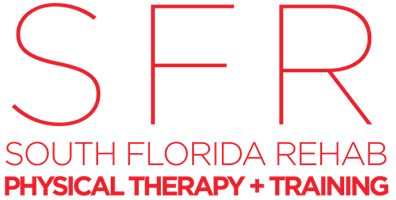 At South Florida Rehab and Training Center (SFR) in Miami, the physical therapists on staff have extensive experience treating knee pain naturally, getting you back on your feet in no time. To learn more, call or book an appointment online. Bones: Three bones connect at your knee joint: your thighbone or femur, your shinbone or tibia, and your kneecap or patella. Cartilage: To help the bones in your knee work together smoothly, they’re covered with articular cartilage, a slippery substance that prevents painful rubbing between your bones. Meniscus: Your knee contains two wedge-shaped pieces of tough, rubbery cartilage that act as shock absorbers. These are called menisci, or meniscus in the singular form. Ligaments: Ligaments are the stretchy fibers that hold your bones together. Tendons: Tendons refer to the tough bands of tissue that hold your muscles to your bones. If you think of all the movements your knees are responsible for, from twisting to jumping, you begin to see how much stress these joints endure. As seen on this list, knee pain can result from an acute injury or wear and tear over time. Because your knees are so critical to your ability to function, it’s important to treat knee pain in a way that alleviates the immediate discomfort, while also setting your knees up for future health. The best way to accomplish both of those goals is through physical therapy. The physical therapists at South Florida Rehab and Training Center specialize in treating athletes who rely on their knees in extraordinary ways. The best part? Physical therapy doesn’t rely on injections or painkillers, but rather on your body’s own natural ability to heal and strengthen itself. To learn more about how physical therapy can get rid of your knee pain, call South Florida Rehab and Training Center or book an appointment online.